Whether you are a homeowner, business owner or property manager we want help you with your Tulsa holiday lights this year. If you’re looking for the professionals and the creative designers to decorate your home for the holidays you’ve come to the right place. We want to take over putting up the lights for your household and your property. We create a perfect holiday atmosphere and we do it right the first time. Call the professional holiday light installers today at 918-640-6405. The holidays are meant to be enjoyed. The ultimate goal here at Green Leaf is to make sure that you don’t feel overly stressed this Christmas. By allowing us to hang up the lights you don’t have to worry about going into that deep and dark basement trying to find that half chewed up box of Christmas lights that are tangled into a massive mess. People spend at least six hours trying to untangle lights and then they soon find out they don’t even work. Don’t let this happen to you you. Choose Green Leaf Lights today. 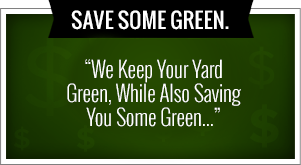 Green Leaf is known for providing quality lawn care services all around the city of Tulsa. 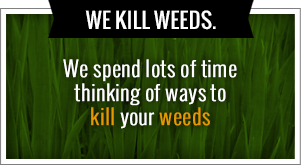 We provide weed control, mowing, landscaping and more. We are known for our quality customer service and our dedication to homeowners in Tulsa. When you choose to hire Green Leaf for your Tulsa holiday lights it won’t be any different. We arrive to your home, take measurement and give you an honest estimate of what it’s going to cost. We want to make sure that your house sparkles and can be seen from every corner of the neighborhood. One of the biggest advantages when it comes to having someone hang up your Tulsa holiday lights is that it saves you so much time. Everyone is so busy when the holidays roll around and they are looking endlessly for that ideal Christmas gift for their significant other. Don’t get bogged down with pain of hanging up the lights lights when Green Leaf can do a for you. We install, test and make sure those lights are parallel with your vision of what you want your home to look like for Christmas. If you have any questions about Green Leaf and how we can make sure that your home is extraordinary please give us a call. And if you have an event that your planning for the holidays we can help you with that too. We have partnered and we have connections to some of the most creative lighting technicians in the city. They have an eye for creating the perfect ambience for your party and your holiday event. Call us now to find out more. Green Leaf Is Here! We provide quality service and we can hang up your Tulsa holiday lights this year. We have provided service for homeowners, business owners and property managers all around the city. When it comes to your holiday lighting installation there’s no one better than Green Leaf. We want to take over putting up the lights for your household or for your property this upcoming Christmas. Enjoy the holidays by not having to stress about hanging up lights and making sure that they work. So call us today at 918-640-6405. Green Leaf will arrive, install and test the lights to make sure that they are working properly. We also do an on-site home estimate to make sure you know exactly what you’re going to pay. We take care of all the measurement and we have all the equipment to hang up the lights. You do not have to go into your dusty attic searching for that box of old Christmas lights. No one wants to spend six hours going through the tangled mess of lights and making sure that they all work. Green Leaf helps you from start to finish throughout the entire process. We are known for our customer service here at Green Leaf. During the warm seasons we provide quality lawn care and landscaping to homeowners all across the city of Tulsa. Our ultimate goal is to make sure that when we are hanging up your Tulsa holiday lights we keep consistent with our customer service pledge and over deliver every time. Our services are about building a relationship with customers and keeping our word to them. You can rely on Green Leaf because when we say were going to do something, we are going to do it. We also to make sure that your holiday party is a smashing success. How? We have partnered with some of the most ideal and experienced party lighting professional technicians. They also have a great eye for providing the perfect holiday atmosphere for your party. They also offer you suggestions to make sure that your event is a huge success. Whether it’s at your home or at your business, we went make sure that this Christmas party is going to be talked about until next December 25th. Call us today to speak with us about putting up your holiday lights this year. Great holiday atmosphere is right around the corner when you call Green Leaf. We come, we install and we make sure that it looks exactly the way that you want. Trust the customer service and professionalism that’s provided here at Green Leaf. We know how to get rid of weeds and we know how to make your house sparkle in the neighborhood.